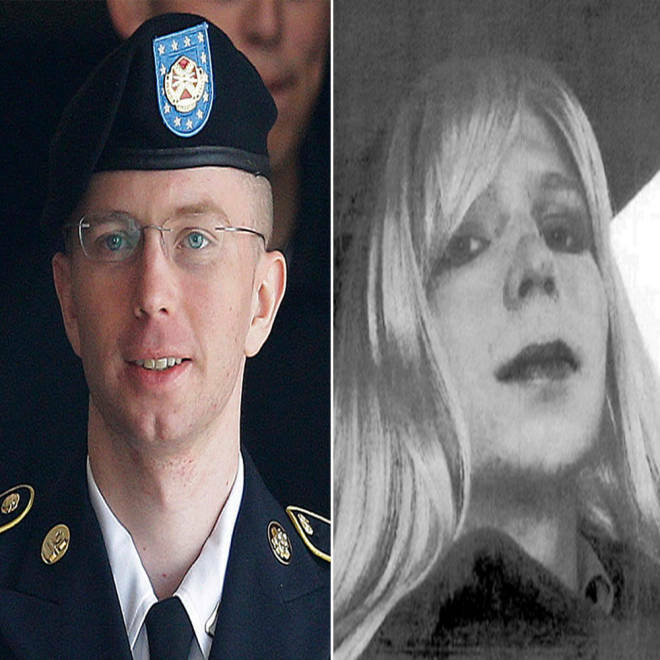 Manning wearing Army uniform, left, and wearing a wig, right. Chelsea Manning complains in a letter published Wednesday that she's been mischaracterized as a pacifist and says she leaked hundreds of thousands of secret government documents as a matter of transparency. In a two-page statement to Britain's Guardian newspaper, Manning said not only that she's not a pacifist but that she even believes it could be reasonable to interpret the documents she gave to WikiLeaks in 2010 as justifying U.S. military operations in Iraq and Afghanistan. "It's not terribly clear to me that my actions were explicitly done for 'peace.' I don't consider myself a 'pacifist,' 'anti-war,' or (especially) a 'conscientious objector,'" Manning writes in the statement, which is dated Monday but wasn't published until Wednesday. Manning, 25, a former Army intelligence analyst, is serving a 35-year prison sentence at Fort Leavenworth, Kan., and in her statement, she disclosed that she has been stripped of her rank as a private. The letter is Manning's first public comment since she was sentenced in August. She was previously known as Bradley Manning but has since changed her name and declared her desire to live as a woman. The immediate trigger for Manning's statement appears to be a peace prize she was awarded in July by the anti-war International Peace Bureau. While she said she was "flattered" by the award, she said she hadn't made comments that the organization attributed to her that cast her actions as "actions for peace." "I believe it would be totally dishonest if I don't make the public aware of this disconnection," Manning wrote. The statement also appears to highlight a possible rift between Manning and her military attorney, David Coombs, a former acting chief of military justice in the Army Judge Advocate General's Corps. Manning writes that she didn't even know she'd been awarded the IPB prize at the same time Coombs was reporting that she was "overwhelmed" by it. She said her conversations with Coombs had been heavily focused on her court-martial and asked that any further statements from Coombs be considered "unofficial" unless they had to do with details of her legal case. But in a response Wednesday on his law firm's website, Coombs wrote that he had told Manning about the award at least three times. He said he'd spoken to Manning by phone Wednesday and that she'd told him that she "got confused" and did, in fact, remember it. Coombs also insisted that while Manning had declared herself not to be a pacifist, "she is a humanist and was motivated in her actions not only by her transparency beliefs, but also by a deep concern for human life." There was no immediate way to confirm Coombs' assertions with Manning herself.